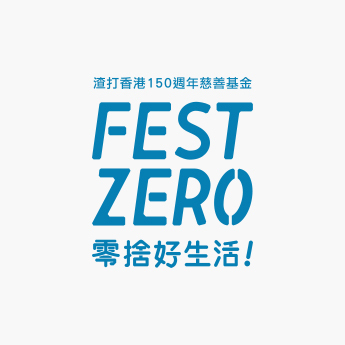 Fest Zero Live, the outdoor concert hosted by Wong Chi Chung & Watermelon (西瓜), will be the finale of this year’s Fest Zero, the lineup of artists are: Endy Chow (周國賢), Lil’ Ashes (小塵埃), ketchup, Yukilovey (勞嘉怡), Michael Lai (黎曉陽) & Jun C.
All fees will be donated to Food Angel’s food rescue programmes. Fest Zero LIVE is sponsored by Standard Chartered Hong Kong 150th Anniversary Community Foundation. • Please bring your own bottle and water, we will provide limited supply of drink and water. • Let’s reduce carbon footprint together by taking public transportations to Fest Zero LIVE. • The event will be cancelled when a black rainstorm warning or a typhoon signal no. 8 or above is hoisted. Updated information will be published on the event website (www.festzero.hk) and our facebook event page (http://on.fb.me/1Jr43Zn)should there be changes to Fest Zero LIVE. • The event will be cancelled when a black rainstorm warning or a typhoon signal no. 8 or above is hoisted. Participants should leave under safe condition. The Organizer has the final decision over all matters not stipulated here in the rules.